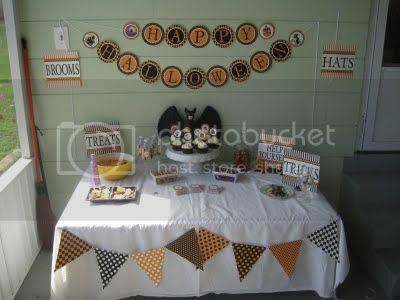 I have seen a lot of Fall inspired crafts lately, both in the linky party and out in blog land. I am just so in the mood for FALL. We have been having a bunch of rain the past few days and it has me yearning for some cozy slippers and hot chocolate. I think that is one of my favorite parts of fall. 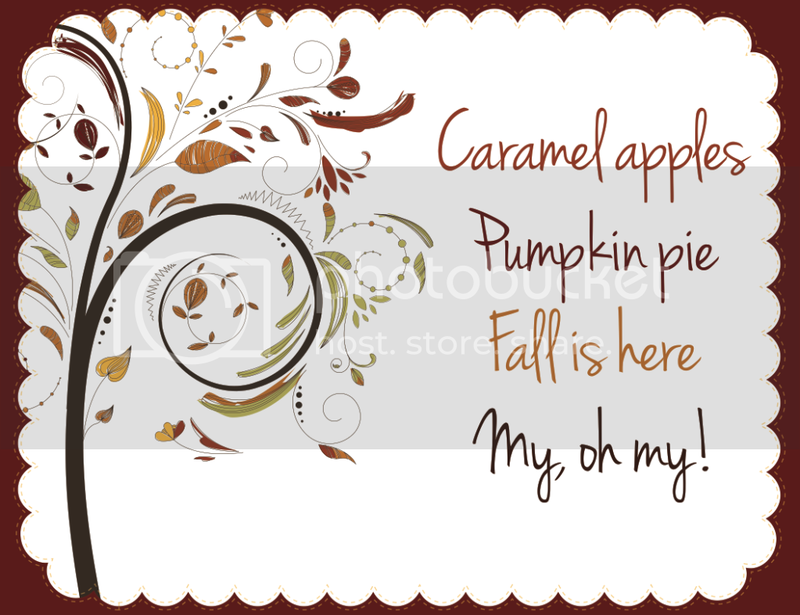 I also of course love the crafting in Fall. Here are a bunch of ideas I plan to try out this Fall Season. Check out these great projects. 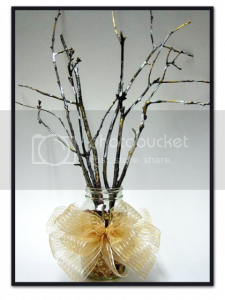 This "Going Green" in Autumn Nature Walk Centrepiece is perfect for Fall. 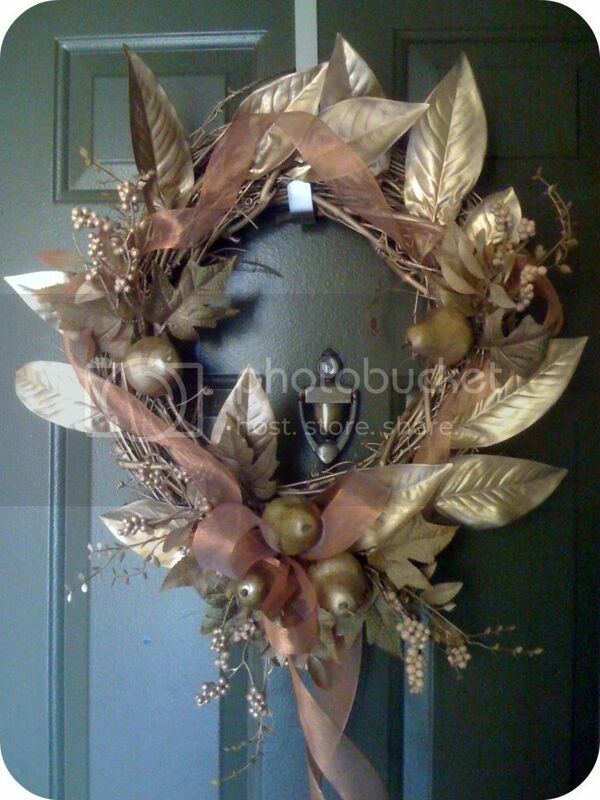 Crafty Critique linked up a beautiful Fall wreath. I love the leaves on it. I love all printables. This Fall inspired one, from The Creative Paige, is just perfect. 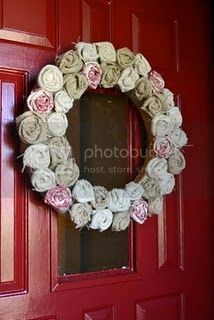 I am in love with this burlap wreath from Babblings and More. How cute is this Fall No-Sew Fabric Pumpkin How cute is it? 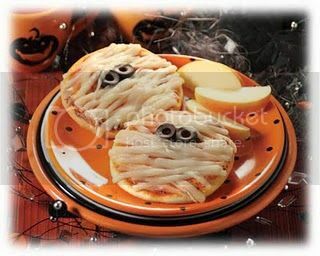 Six Sister's Stuff has great Halloween Food Ideas. and they have a recipe for Pumpkin Chocolate Brownies. Yum!! 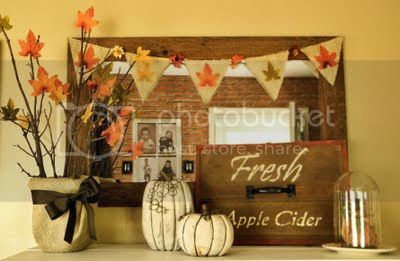 Check out these touches of Fall at Shabby Love. 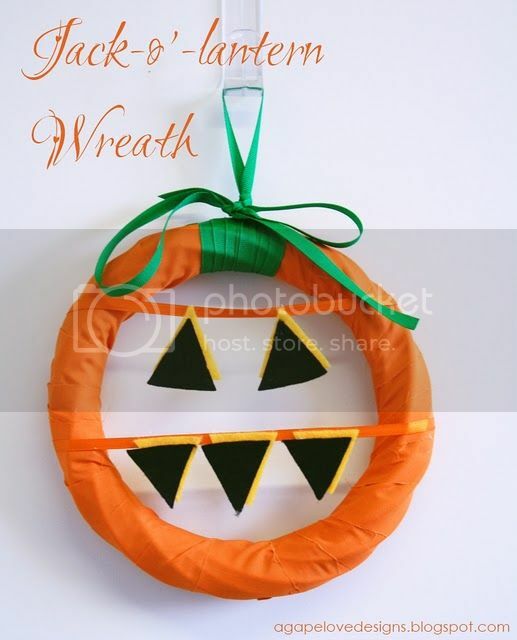 Love this Jack-o-latern Wreath, from Agape Love Design. Too cute! Fall just as much as I am. This has me wanting to craft and share it with you. I am thinking some great themed shirts for littles, maybe a homemade slipper tutorial, halloween costume roundup, and more. I ready to get Blissful and Domestic ready for Fall. Anybody have any guest post they'd like to share? They can be new or old, prefrabbly fall themed crafts or recipes. Let me know. I love having guest! Thanks for featuring our burlap wreath! We love your blog! Thanks for featuring my "touches of fall". I feel so special! :) Love the other ideas too! I feel so honored be featured here alongside these other wonderful projects! 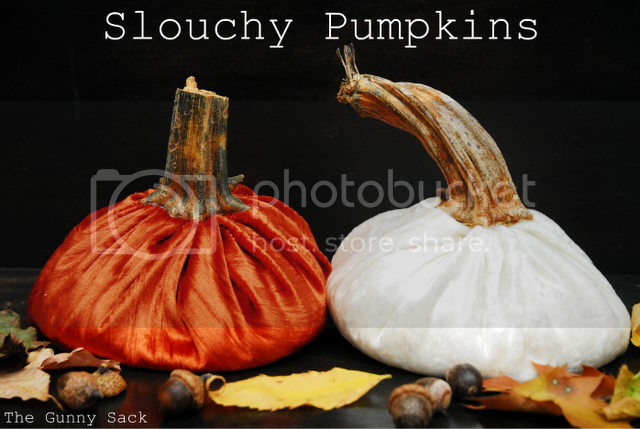 I especially like the Touches of Fall from Shabby Love. Thanks for showing me off! These are GREAT! 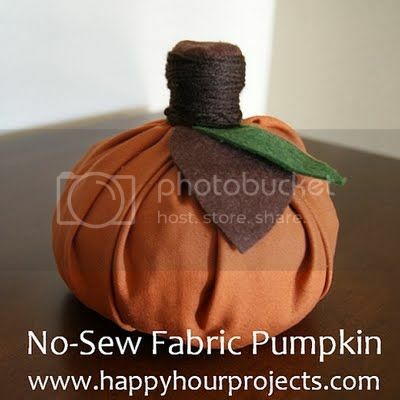 I saw the no-sew pumpkin last week and Happy Hour Projects. I plan to share that link as well when my Countdown to Pumpkin is over. I don;t have time for guest posts, but I hope to share some links that deal with pumpkin--the food or craft kind. I plan for it to go on for a month. I will be looking to see if you share any. ah im so happy fall is here!!! I am totally glad fall is here! Thank you so much for the feature! :) I grabbed a button for my featured page! Oh i absolutley love fall as well, these are great ideas! Thanks soo much! Thanks for the feature, Danielle! What a great post! 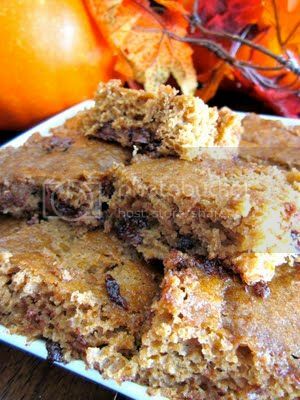 I love that no-sew pumpkin and the pumpkin brownies are going on my 'to bake' list. Some great features there! Love the pumpkins!